One of the main goals of cord cutting (the term itself is not literal,so please don’t hack at your cable cord just yet) is to save money. DIRECTV Now,owned by AT&T,is a major contender in this growing trend. Cut the cord. You’ve heard the phrase before. 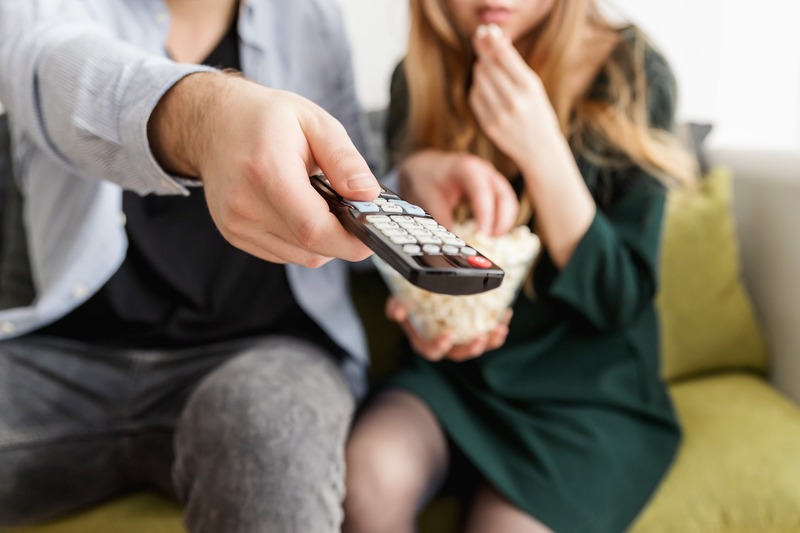 More and more people are taking the plunge – ditching their cable subscription for “skinny bundles,” or live streaming TV that is transmitted over the Internet. One of the main goals of cord cutting (the term itself is not literal, so please don’t hack at your cable cord just yet) is to save money. DIRECTV Now, owned by AT&T, is a major contender in this growing trend. With over a million subscribers, we anticipate that they will be a force to be reckoned with moving forward. Customers are sick of receiving a triple-digit cable bill, and rightfully so. Ain’t nobody got time for all that! With so many streaming service out there – over 200, actually – there’s really no shortage of content to satisfy even the most demanding of consumers. And if all else fails, you can read a book. While we’re on the subject of antiquity, remember TV antennas? Well, they’re back. You can get a high-def feed of local channels by installing (or, hell, even building your own) antenna. Before you go cancelling your service, you should know that there are legit, or at least considerable, arguments for why you shouldn’t cut the cord. Full Disclosure: I do work for a company that sells cable TV subscriptions. Nonetheless, I get the struggle; I get why people are tired of cable. Well, it’s not cable that people are tired of. People want the content on cable TV programming (some of it, anyway), they just don’t want the price. But, we can get into all that another time in a different blog. For now, let’s just assume you do cut the cord. With so many streaming devices and services to choose from, how do you decide? I’m telling you: DIRECTV Now is noteworthy candidate. Despite the decline of DIRECTV, AT&T’s over-the-top service provides a worthy substitution. We’ll be hearing a lot more about it in the coming years. Consider the entry-level DIRECTV Now channel bundle. You get 60+ channels for $35 per month plus a free 7-day trial. That’s not bad. Sling TV only gives you 30 channels for $20 (that’s their basic package – which also includes a 7-day free trial). I think they really stand out with their channel selection. It’s all the good stuff. If you don’t believe me, go look. They have Animal Planet, Discovery, E!, and National Geographic. I see VH-1 (I need to watch the next episode of RuPaul’s Drag Race) in there. I also see the Food Network, Lifetime, the History Channel. PBS is on the horizon (supposedly). And if you already have their platform, you can pay just $5 per month for HBO. I’m talking good stuff here! For all you sports nuts (not my thing), they have Fox Sports, ESPN, NBA TV, and NBC (don’t they show ball games on there?). So what is it like to actually use it? I think the user interface is pretty sweet. It’s clean-looking and straightforward in the way it operates. I tend to think that the best designed systems are the ones that are no-brainers to operate. Look at the user interface of an iPad, for example. It’s intuitive. You don’t even have to read the user manual to get how to work it. That’s what I mean when I say DIRECTV Now has a sweet interface. It’s just easy to get. You can find videos on YouTube that show you quick run throughs. There’s a quick, good one below from SearchingforSignalLLC. To sweeten the pot, I have a feeling that AT&T will launch the long-awaited cloud DVR feature very soon. As time goes by, we’ll see other improvements. We already know that AT&T has their eye on 4k video support. To use it, you just need a media streaming device, like a Roku or an Amazon Fire TV and an Internet connection. Shameless plug warning: you can always visit BundleYourInternet to find the best Internet service deals in your area. Hell, cable TV service, too for that matter! But, I digress. Once you have your media streaming device, you just download the app. DIRECTV Now has an official app for Roku, Apple TV (4th generation), and Amazon Fire TV devices. You can also stream it with Chromecast (2nd generation). With iPhone and iPads, you just need to make sure your operating system is iOS or higher. Android users need 4.4 or higher. Web users can use Chrome version 50 and up or Safari 8+. Also, AT&T has been developing its own 4k TV box which will use Android TV software. There’s speculation that it will support Netflix, HBO Now, and Hulu. It may be released as early as this year. So, there you have it: my love letter to DIRECTV Now and cord cutting in general. Actually, consider it a love letter to the Internet (we’ll talk about the pros of cable later). But, for now, let’s just say that as more and more people migrate to streaming TV services, it’s worth investing in the very best Internet service that you can get. How else are you supposed to fully experience the new era of TV?